Within the realm of media and modern communication systems, rap music has evolved as one of the more popular musical art forms but it is one that has evolved mainly in the United States and is something that really isn’t “universal” in terms of popularity. At least that’s what I thought before my culture changing experience last week. As I was exploring Athens in my first few days here, I came across a flyer for the 3rd Annual Technopolis Hip-Hop and Break Dancing Festival. Being a Mass Communication student, a young adult, and a fan of rap in general I thought it would be interesting to go see this event. 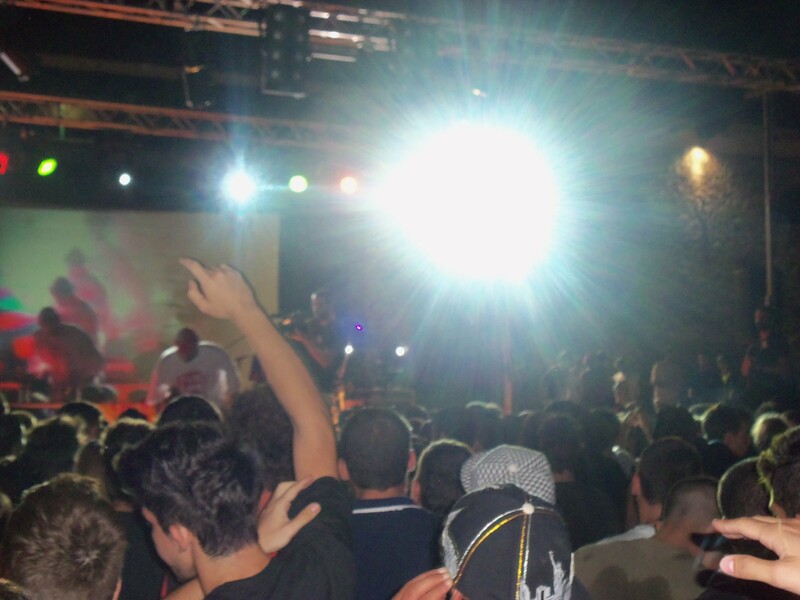 The all day festival included freestyle rap battles, break dancing, and the main stage rap acts. Did I forget to say that none of this was in English? Part of the reason of going to this event was to see the relationship between American and Grecian musical forms; see if the beats were the same, tempo, rhythm and so forth. The free style battles were extremely entertaining, essentially the same as one would see in America, and pretty much what the basis for the movie 8 Mile was. This experience made me wonder about the relationship between different forms of media and the term “universal.” As learned in prior Media Studies courses not all forms of media are universal, an example of this would be comedy movies being hard to adapt in other cultures, but action movies being more widely accepted. I originally thought the same would apply for music. With rap being much younger than other forms of music and being the most Americanized but I was clearly wrong in this aspect. This concert also made me ponder the relationship the media has within a society and culture. And made me further a question I have been pondering since I arrived here in Athens while consuming the many forms of communication systems here: Is European culture Americanizing their media systems of is globalization taking over and the world only being run by a few conglomerates. Only my time in Athens will be able to bring that question to rest.